Metal Can Lanterns is one of the sweetest stories I’ve ever read. It reminds us that there are some things that we must preserve and save in our memories so they will never die. This is a story to be read in one of those winter nights when you are staring at the fireplace and thinking about past times. It is impossible not to smile. I loved it. 59 Beads is a sad story. When you finish reading it, you will feel upset and angry, but mostly gloomy. You only have your sister; she gets sick and you put all your effort in getting her healthy. The solution is quite simple: You basically sell your soul to the devil and she gets the treatment. However, there are no guarantees! What would you do? Give up on your freedom or let her die? It’s an interesting story, albeit the set-up is quite cliché. Still, the concept of Dollygirls was interesting enough for me to keep on reading. Hunt beneath the Moon bring us a supernatural world. Here we meet a hunter and a supernatural creature, the Hind. Somewhere nearby is a book that prevents the Hinds from being captured by the hunters and, naturally, the Hind wants that book — however, it’s the hunter who possesses it, and he is her mortal enemy. The story starts very well and awakens the curiosity of the reader, but soon it becomes too confusing. It’s easy to get lost in the dialogue and the end of the story isn’t well executed. It may have potential, but the Greek legend should’ve been better explored. It is with the utmost pleasure that the entire ISF Team presents to you the “ISF # 1”. 3 marvelous pieces of fiction by Joyce Chng, Rochita Loenen-Ruiz and Marian Truţă and an amazing article by Stanislaw Lem! What are you waiting for? 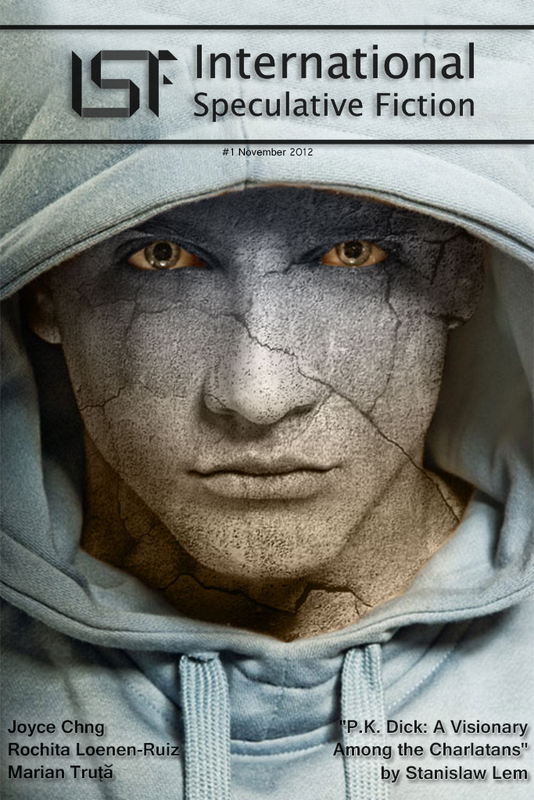 Wait no more, download this free Magazine and start reading it! Using the imagery of the Mid-Autumn Festival also known as Lantern, Mooncake or Children’s Festival, Joyce Chng presents us with a short beautiful and inspirational tale. 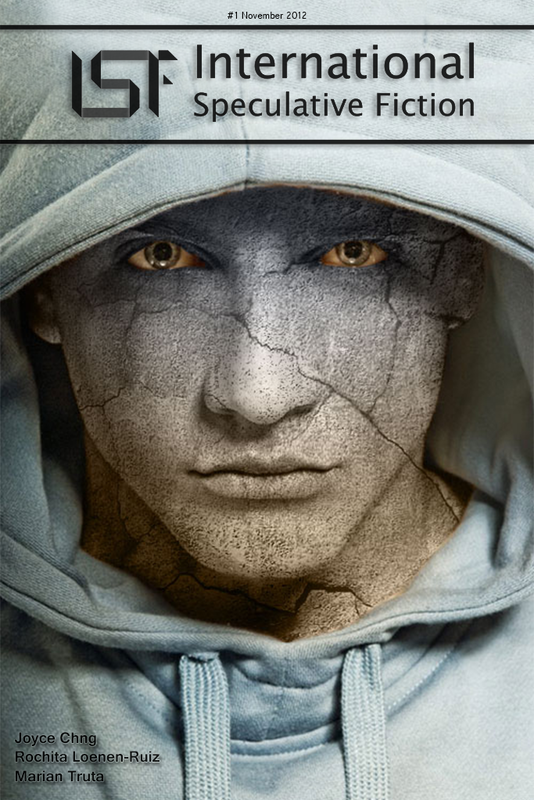 A story full of inspiring descriptions, sweet and thoughtful characters brought back from a dystopian world. In this tale children acknowledge and adapt traditions, pursue the understanding of personal meaning, and lead the way to retrieve a few lost rituals. But they do so even when they seem to have very few knowledge left. And it’s obvious that they resent the void of lost communion rituals. And to me this posed a conflict. Considering the children’s age maybe it was a little farfetched to give them such care for historical references and traditions if apparently there were very few adults able and willing to reminisce in the old ways. ISF # 1 will be available beginning tomorrow! 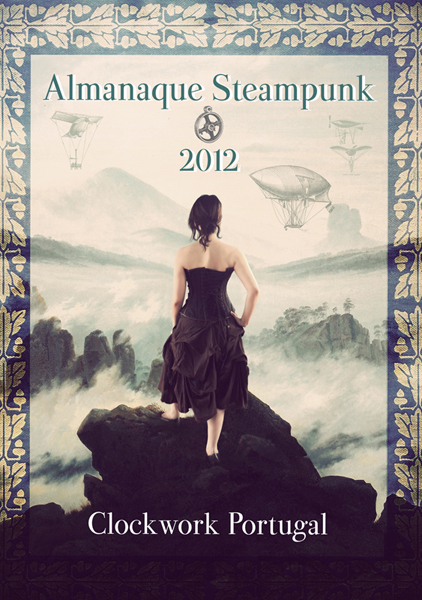 On the last weekend of September, the Portuguese contribution to the European Steampunk convention was held in Porto. Though it was the country’s first major steampunk event, a concept unknown to the general public in Portugal, there were still about 150 visitors between both days. 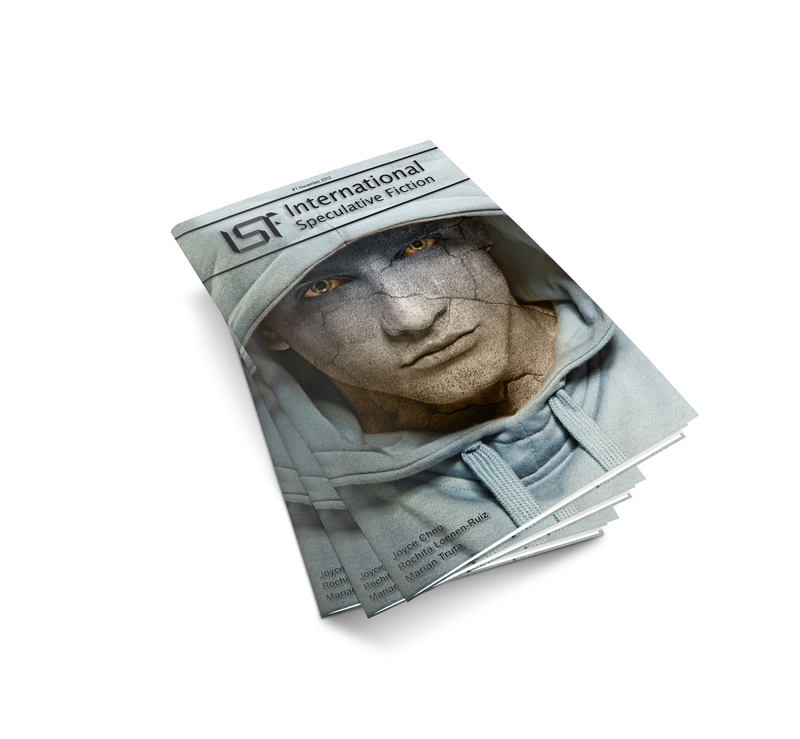 Here is the Cover for the ISF Magazine #1. Our #1 will be available for free download really soon, and will feature fiction by Joyce Chng, Rochita Loenen-Ruiz, Marian Truta and an article by Stanislaw Lem, so stay tuned! 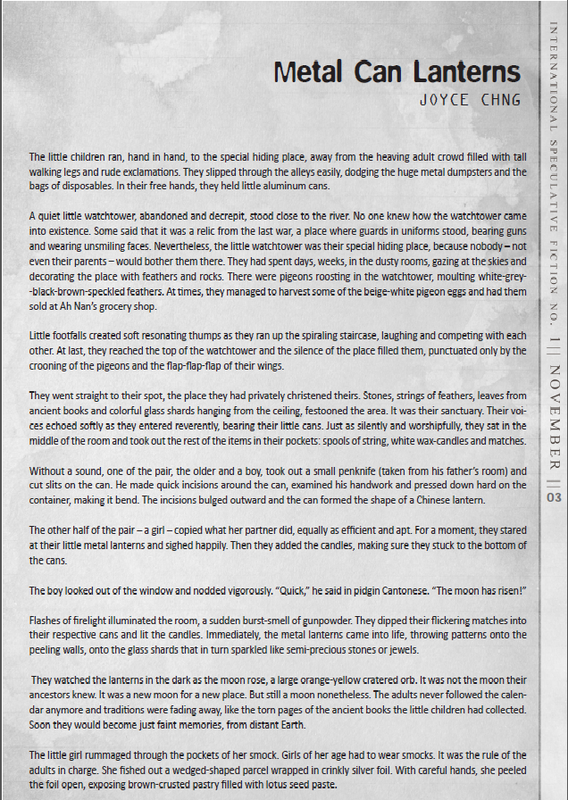 First page of “Metal Can Lanterns” by Joyce Chng! Note that it is a preliminary version and, as such, it is subject to suffer amendments before publication date.